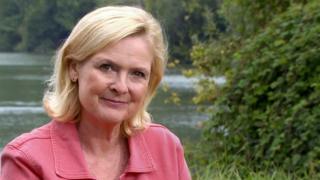 BBC presenter Martha Kearney has recalled the "horrible and humiliating" sexual harassment she experienced as a young journalist.Kearney, a new host on Radio 4's Today programme, revealed men touched her bottom while she was an LBC Westminster correspondent in the 1980s.She said she regrets not confronting her bosses, and hopes the #MeToo campaign will make a difference. "I wish I'd felt stronger, less intimidated," she told the Radio Times. "But in my 20s bosses were powerful people." She continued: "I didn't complain. It was the world of work, the rough and tumble of the newsroom. "The young women I work with at Today have zero tolerance." The #MeToo movement, which spread around the world following allegations against Harvey Weinstein, has seen people reveal their stories of abuse and harassment. Harvey Weinstein: What next after first charges filedWhat has #MeToo actually changed? Kearney, who was until recently the host of The World At One, also spoke about the BBC's gender pay gap, saying it was time to see whether the corporation's leadership would honour their promises on equal pay.Last year, a report found men working for the BBC earned an average of 9.3% more than women, compared with a national average of 18% more.It followed a row over star salaries, in which it was revealed that most of the top-earning presenters were men. "There was anger and shock when the pay figures came out," Kearney said. "Now the BBC is moving in the right direction, but the pace may not be as fast as we'd like. "Kearney took over the Today programme role from Sarah Montague, months after it was revealed Montague was earning significantly less than her co-presenters. Montague moved to The World At One in March. Kearney also said she had covered "enough" stories about equal pay to know there were "structural problems" and a need to make workplaces more "family friendly".She added: "But there's something else going on, I think it's unconscious bias at all large organisations. "BBC director general Tony Hall has pledged to close the BBC's gender pay gap by 2020.